This BABE RUTH Baseball card #149 from the 1933 Goudey set, is in EX-MT/NM condition, and has SUPER color & centering, and a clean back. 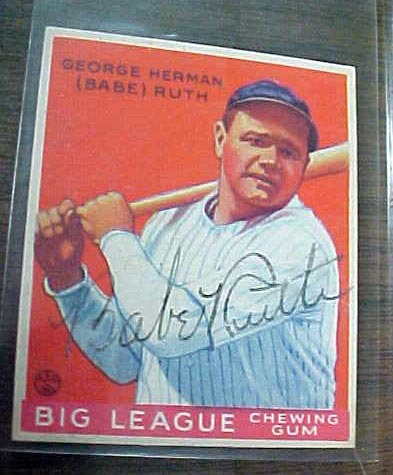 The card comes AUTOGRAPHED in Black ink by Babe Ruth across the front of the card. The signature grades a 7, with just the beginning of fading, and will make an awesome addition to your Babe Ruth collection.